Click on the “Download” link of the right panel. The download process will start immediately. 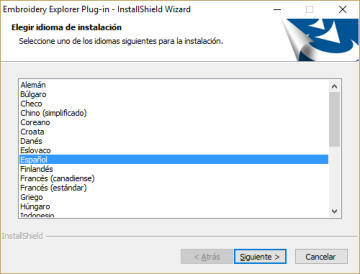 Follow the instructions of the Installation Wizard. Click on “Launch EEP”. Click on “Finish” button. Note: You can also launch EEP later, from the Windows Start Menu. After the download ends, run the setup program: Open. You must complete the following form with accurate information about the user. Complete the Dealer Code field with the ID indicated in the right panel on this page. Click on “Send” to register the software on-line. 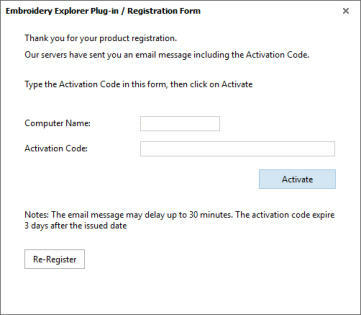 You will receive an email message in the registered email account including the Activation Code. Fill the form with the Activation Code. 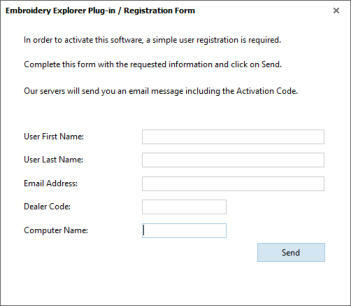 Click on “Activate” button to register the software on-line. Note If you want to activate the software later, run EEP from the Windows Start Menu. Indicate which are the embroidery machine file formats you use (select all the file formats if you want) Click on “Apply” button. Note If you want to change the settings later, run EEP from the Windows Start Menu. 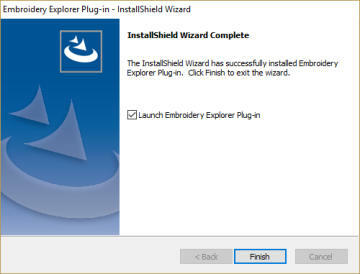 Open the File Explorer, browse on the folders of your computer or local network where there are embroidery designs. 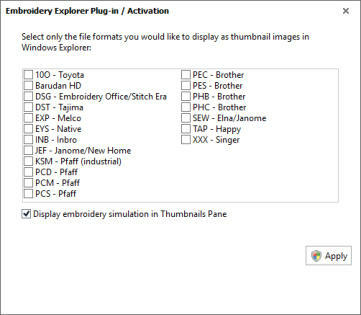 Select the thumbnail view of your preference and use the File explorer as your favorite Embroidery Designs Catalog!